Welcome to the 2018 Walsh Jesuit Ironman Tournament! To be considered for the 2019 Walsh Jesuit Ironman, please email our Team Director by clicking here. Ironman XXVI is Dec. 13-14, 2019. If your team is not listed and you feel strongly that you should be considered for the 2019 Ironman, please email our Team Director by clicking here. 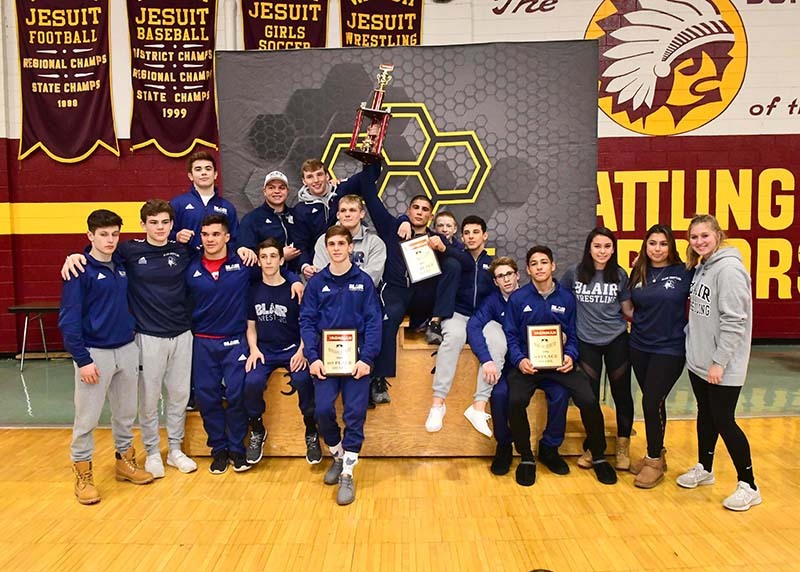 Congratulations to Blair Academy – 2018 Ironman Team Champions! 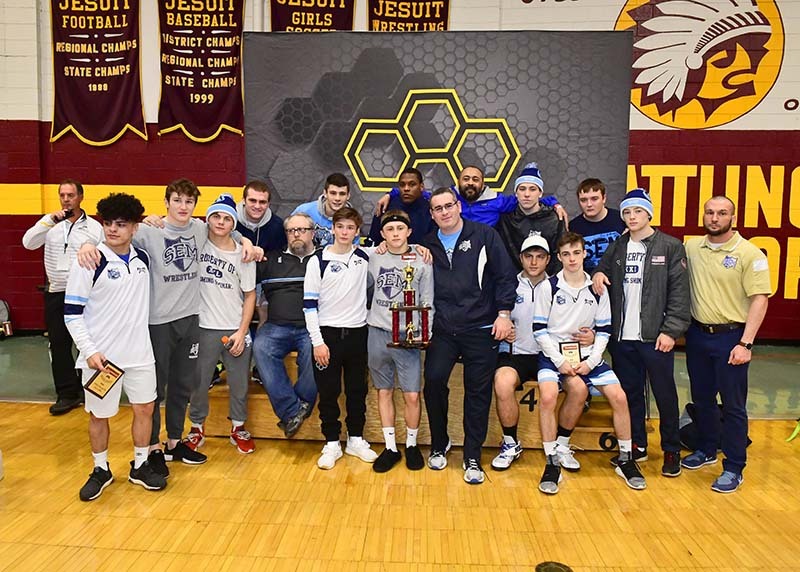 Congratulations to Wyoming Seminary – 2018 Runner Up Team Champions! Col. (Ret.) 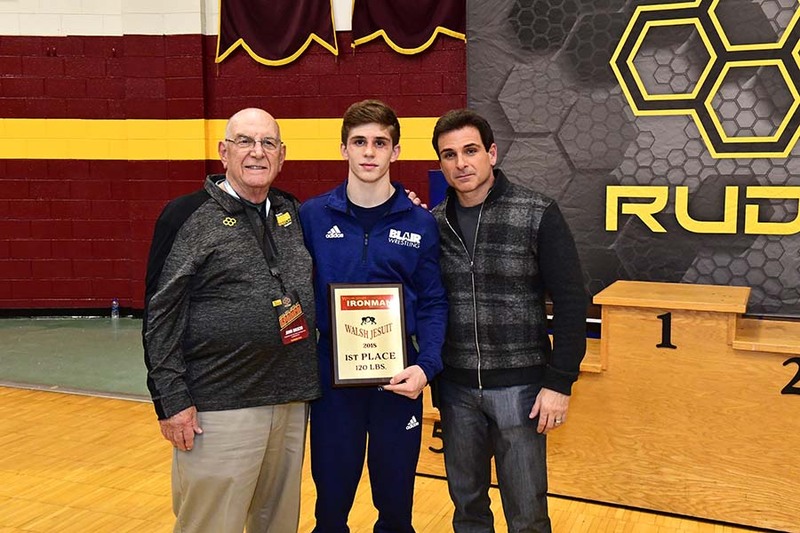 David Ritterpusch, Founder and Presenter of the Mendoza Award, with Cohlton Schultz, Ponderosa, CO and Ryan Anderson, Bethlehem Catholic. Front Row: Reece Witcraft (126) Broken Arrow, Cohlton Schultz (285) Ponderosa, Braxton Amos (220) Parkersburg, A.J. 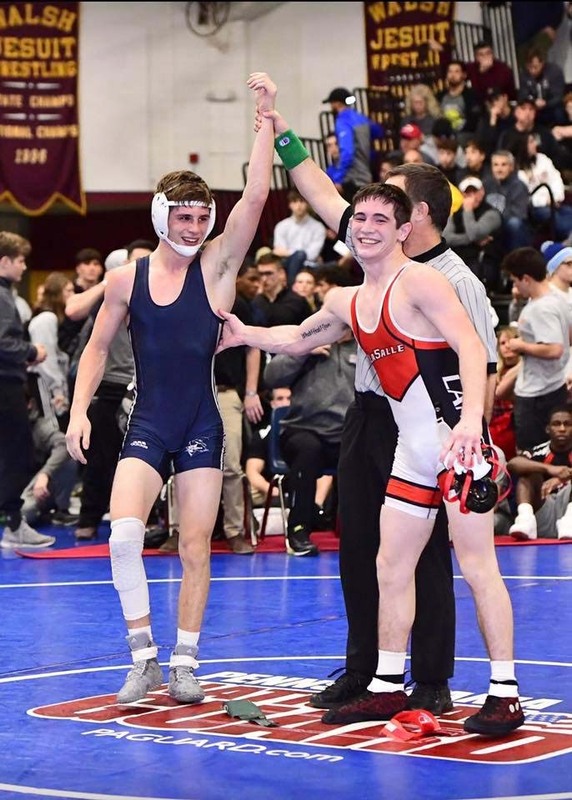 Ferrari (195) Blair Academy, Trevor Mastrogiovanni (120) Blair Academy, Connor Brady (160) Olentangy Liberty, Kyle Rowan (106) Perry. 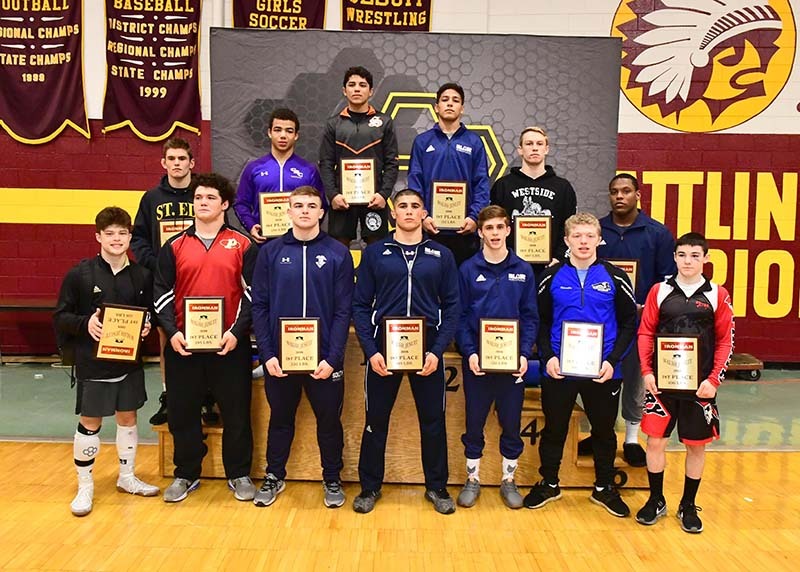 Back Row: Sam Dover (152) St. Edward, Joshua Saunders (138) Christian Brothers, Richard Figueroa (113) Selma, Shane VanNess (132) Blair Academy, Carson Karchla (170) Olentangy Liberty, Darrien Roberts (182) Wyoming Seminary. Missing-Ryan Anderson (145) Bethlehem Catholic. Ironman Sportsmanship at its Finest! This photo by Rob Preston represents the pinnacle and epitome of sportsmanship at any level! 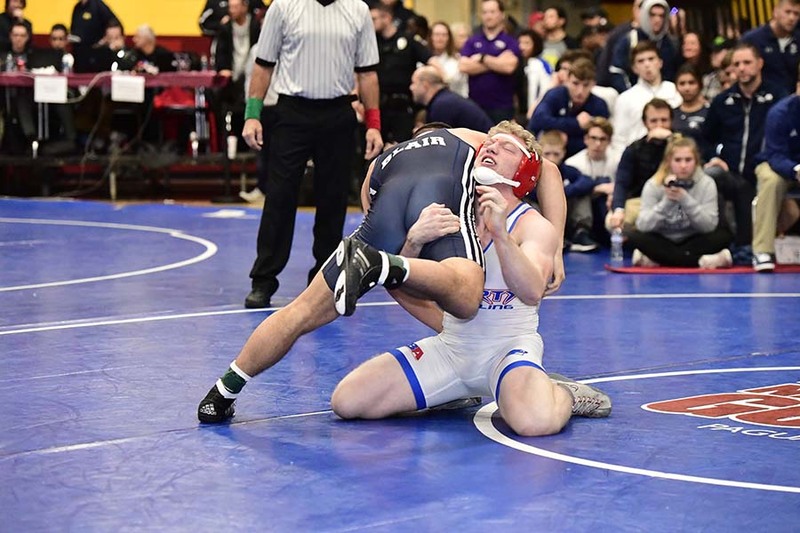 Cincinnati LaSalle’s Lucas Byrd, leading with ~20 secs left in the match gives up a takedown to the defending champ, Blair Academy’s Trevor Mastrogiovanni. Though surely disappointed, he was composed enough and man enough to congratulate the deserving champ…..with a smile no less! Just incredible character shown by both finalists! What an example for all! 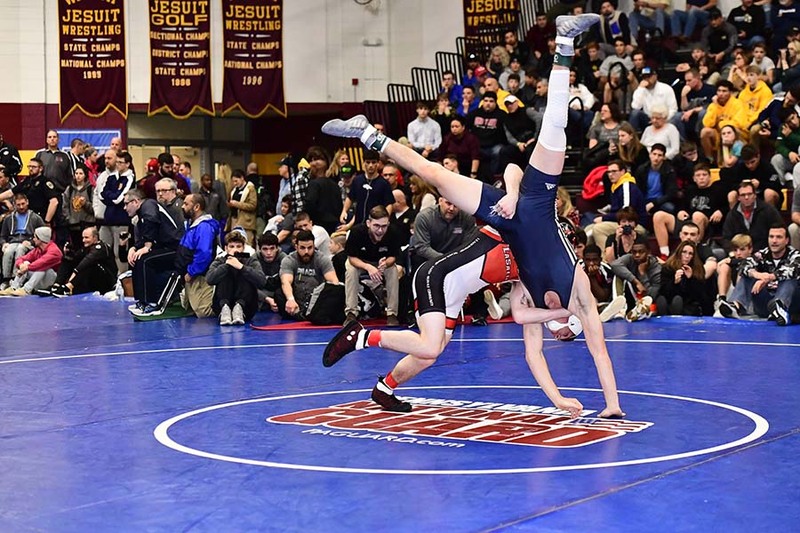 The Ironman tournament showcases the best wrestlers in the country as well as the dominant teams that will play a role in winning the mythical National title. It’s the best tournament in country and very well run. I especially like the later start time on Friday so kids are rested after traveling and able to get the most out of them instead of being worn down from long travel. I feel competing at the Iroman helps our team see the best competition in the country and gets them ready for making a run at the postseason. Also, it helps address what the younger guys need to be doing to be on that level. I love the individual nature of the Ironman. It is a great early season test for my guys and always lets them know how much more work they have to do. We choose to come to the Ironman for the competition. 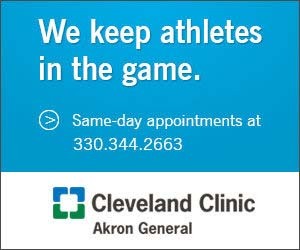 It is one of the toughest and deepest tournaments in the country. We like the fact that the tournament is early in the season…it provides an early gage of how much grit your team has or does not have. 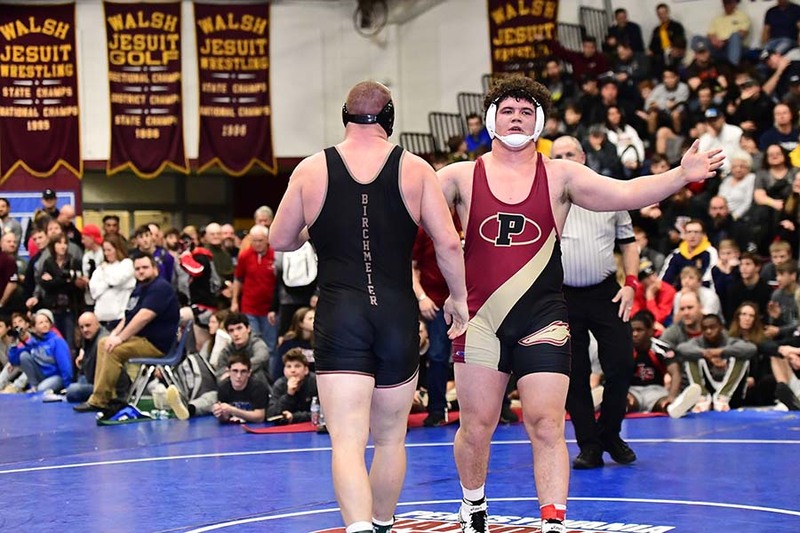 Competing in the Walsh Jesuit Ironman gives our kids the opportunity to compete against the best kids from around the country. 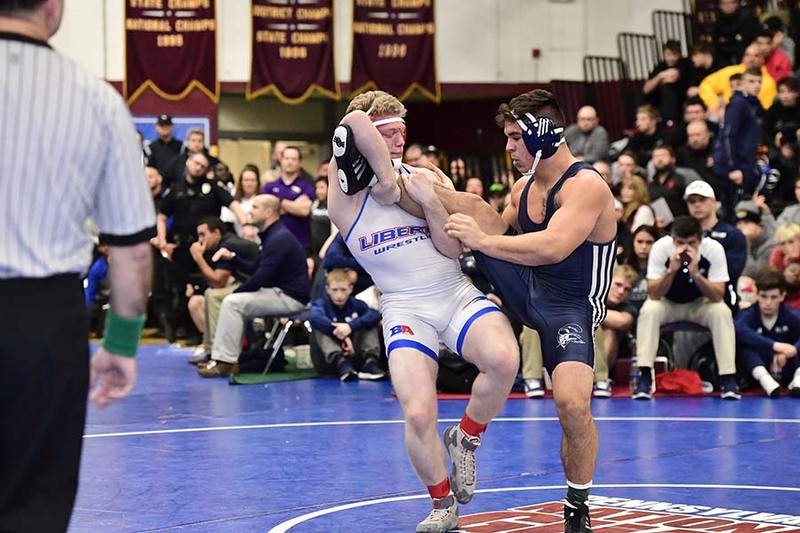 Wrestling such a high level of competition early in the season allows our coaching staff to evaluate areas of concentration to focus on for the remainder of the year. 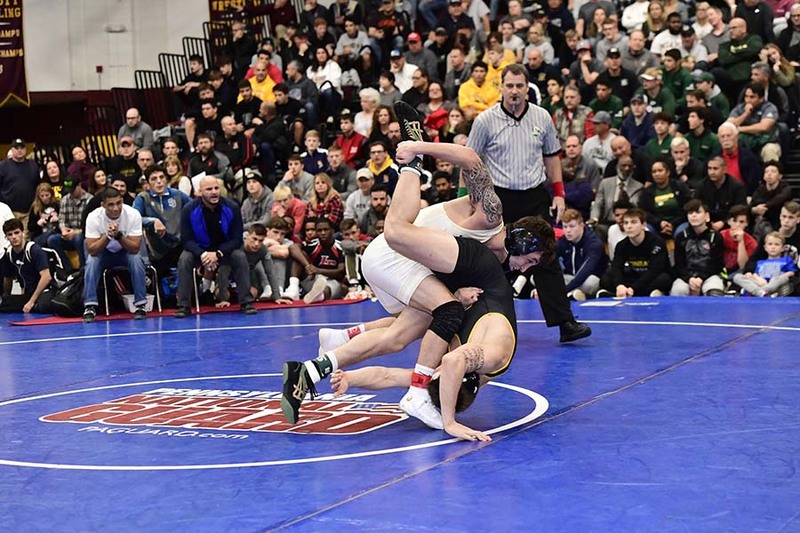 As the only Oklahoma team that routinely attends the Ironman every year, we feel the Ironman is second to none during the folkstyle season. 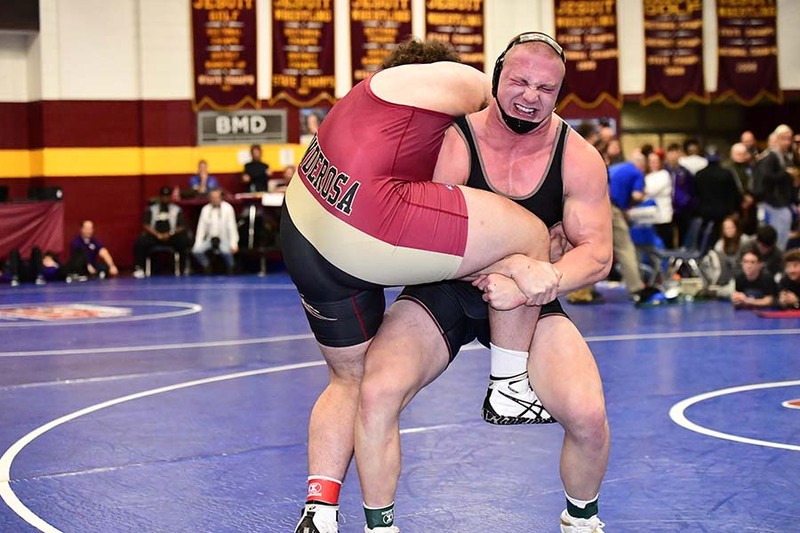 It can be an eye-opening experience for a majority of our wrestlers. 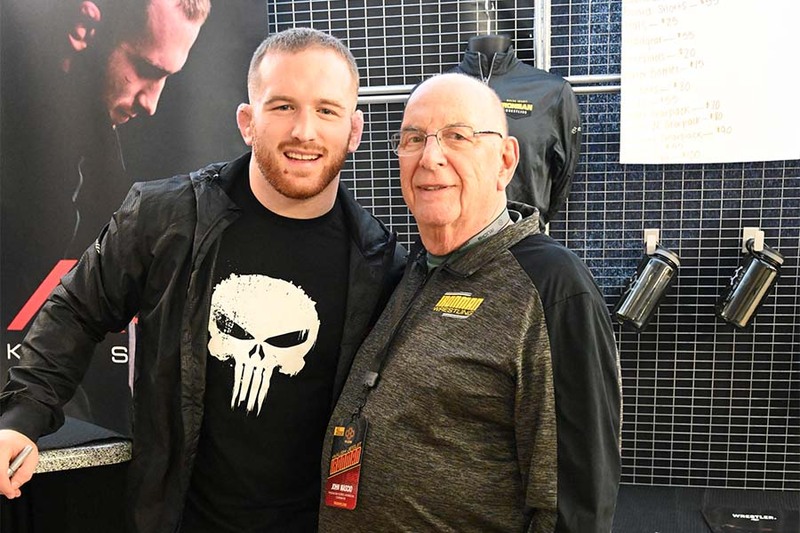 We have experienced, accomplished wrestlers in our program, so the Ironman acts as a great barometer in letting them know and us as coaches know how good we exactly are. As the saying goes, “Iron sharpens Iron” and facing the nation’s best will let you know just how strong your “Iron” really is. 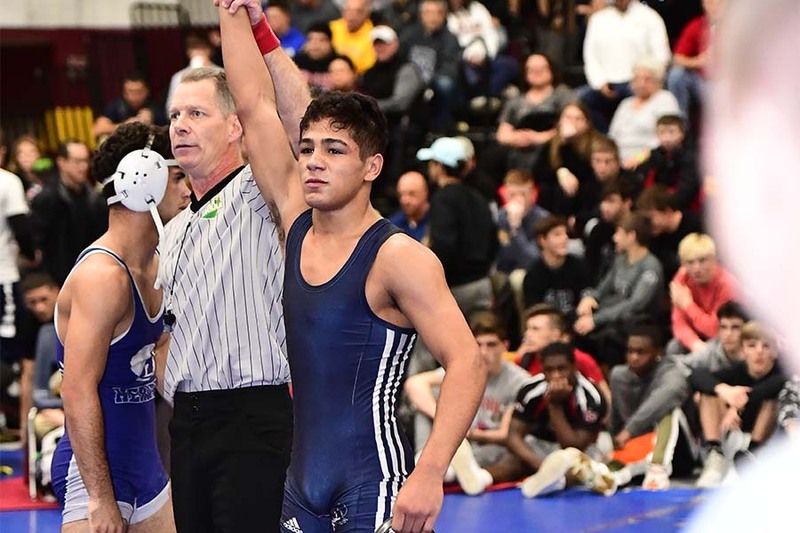 Win or lose, each wrestler and the coaches always come home with a better idea personally and collectively what it’s going to take to be champions. We believe attending the Ironman separates Broken Arrow from everyone else in the state. Download the 2018 Walsh Jesuit Ironman Program. 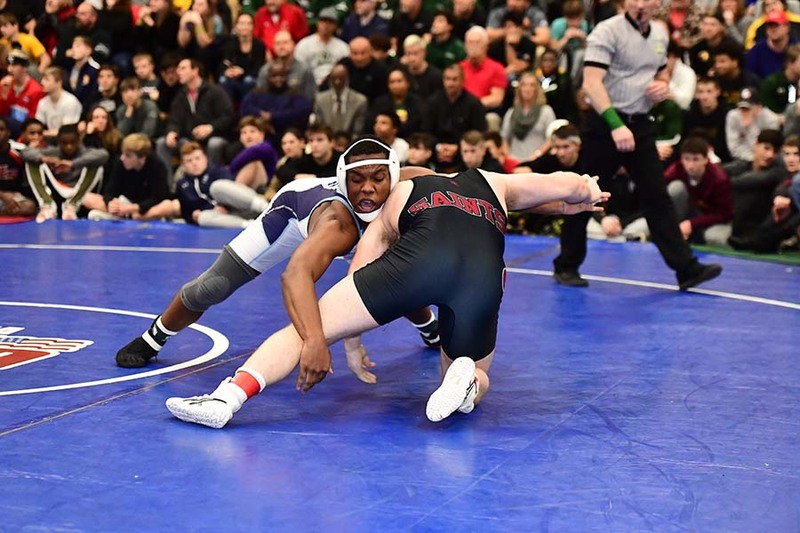 This 134-page program contains all the information about the 2017 tournament as well as a comprehensive history of this nationally renowned wrestling tournament. This program has all the record holders, team results and a yearly recap that goes from 1994 to 2015. 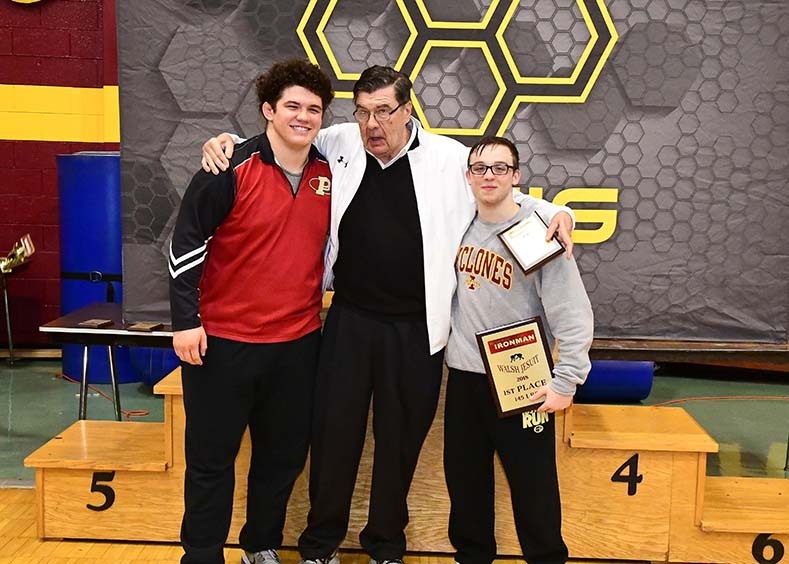 The 2018 Walsh Jesuit Ironman XXV Tournament Media Guide and Record Book is a publication and property of Walsh Jesuit High School and its tournament Media Relations Director. 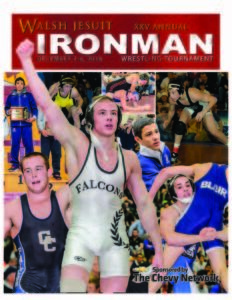 The guide was compiled and edited by John Mascio, Ironman Media Relations Director, with assistance from Ironman Team Director Corey Haddad, Dave Ritterpusch (Author of “The Standard of Excellence”, a history of Blair Academy wrestling), Josh Lowe, Intermat high school editor, Brent Focht, Corey Haddad, Photographers Rob Preston , Tony Rotundo dba “Wrestlers are Warriors”. Cover Design by Richard Immel. Mark your calendars: Ironman XXVI is Dec. 13-14, 2019.